I think the engine deck has rather a few details which could be drawn better, including those vents. Having looked at it closer now, I do agree that the double black lines around the back are avoidable and rather ugly. 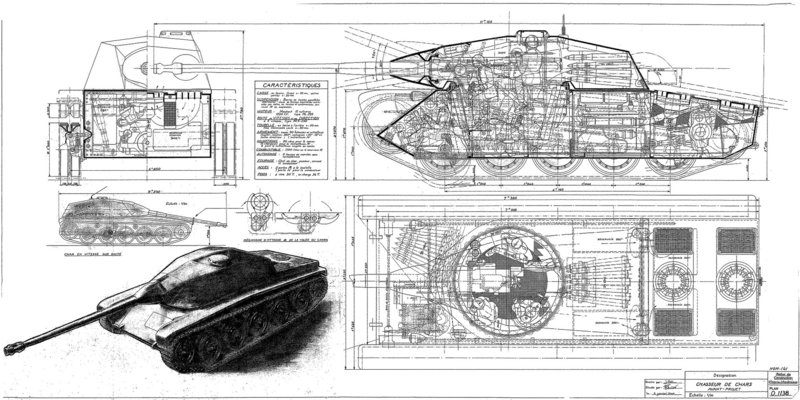 It seems to me like there's no precedent set for what is "too much" or "avoidable" when it comes to double black lines, given AFAIK there was no complaints about the MBT70? The U-boat 20mm mount seemed to better match the plan better, but I'll admit my knowledge of the German surface fleet is lacking. As for the MG, the only one on the parts sheet is the twin and I'm unsure if there's enough difference between the mounts to make a difference in SB scale.